Towards the end of the Second World War, Nazi scientists developed a series of futuristic weapons to use against England aimed to bring the British people to their knees. Named Vengeance weapons, their presence in the skies over London was another German threat that had to be dealt with. A German Luftwaffe Heinkel He 111 H-22. 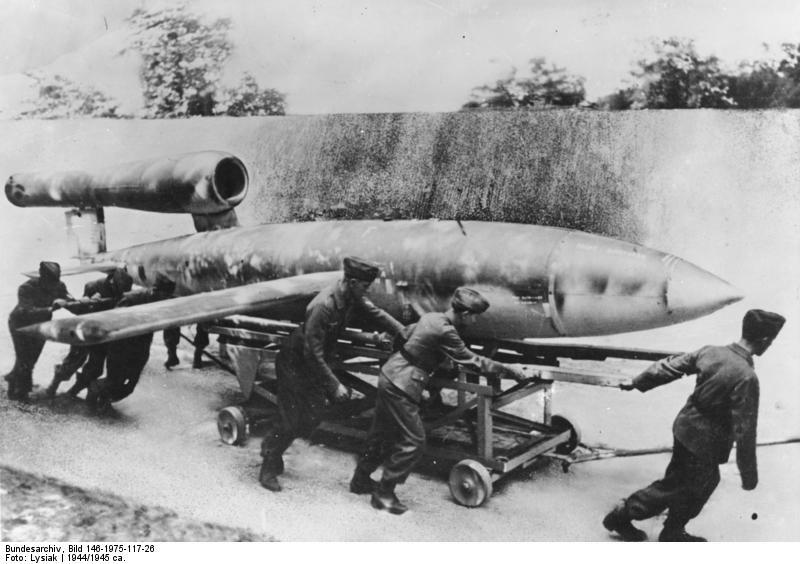 This version could carry FZG 76 (V1) flying bombs, but only a few aircraft were produced in 1944. Some were used by bomb wing KG 3. 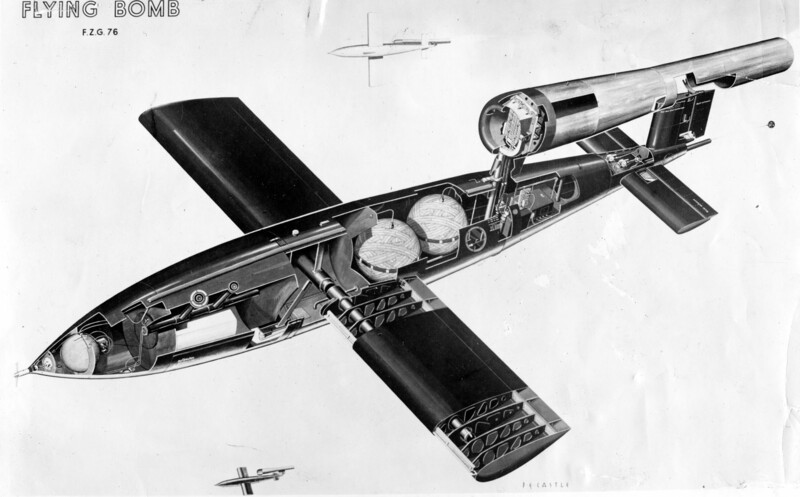 A cutaway of the V1 created for the USAF. 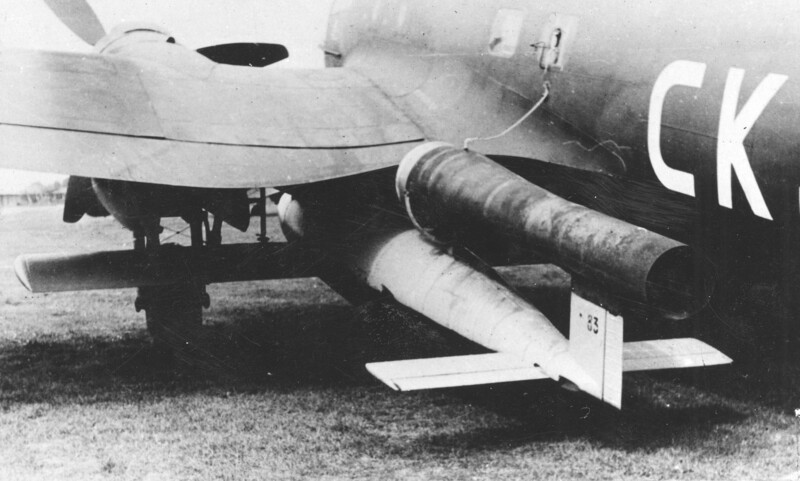 An image of a Spitfire using its wing to turn over a V1 flying bomb. 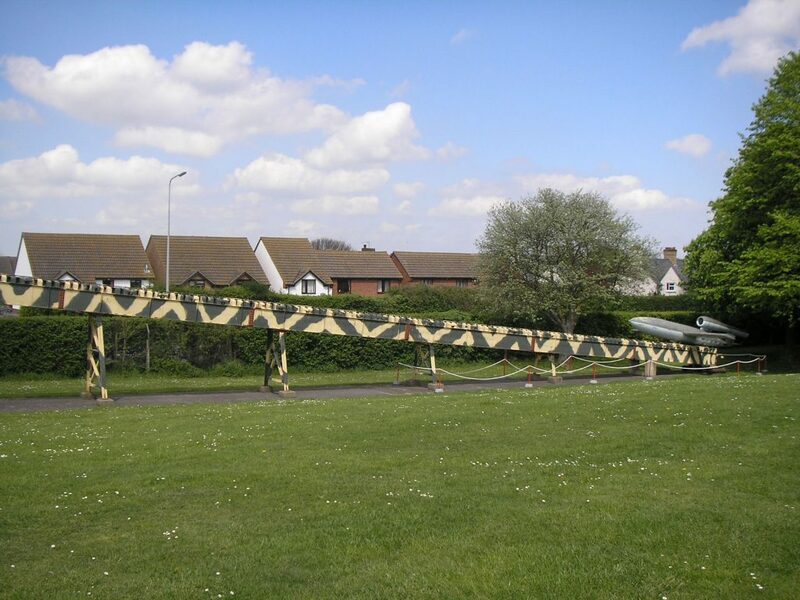 A recreation of a V1 launch ramp on display at Imperial War Museum, Duxford. Images shown under a Creative Commons licence with thanks to Nick D, the Imperial War Museum, the Bundesarchiv and the US Gov USAF Museum.